Dr. Reinald G. Johnson was born on December 7, 1910, in Isanti, Minnesota. His parents ran a dairy farm. He took his medical training at the University of Minnesota and served in WWII in Tahiti and the Philippines. A Captain, in Manila he commanded a large hospital. Johnson opened his medical practice in St. Louis Park in November 1946. Shortly afterwards, due to the demolition of the building he was in, he moved to 4005 Vernon, where he practiced from 1947 – 1968. 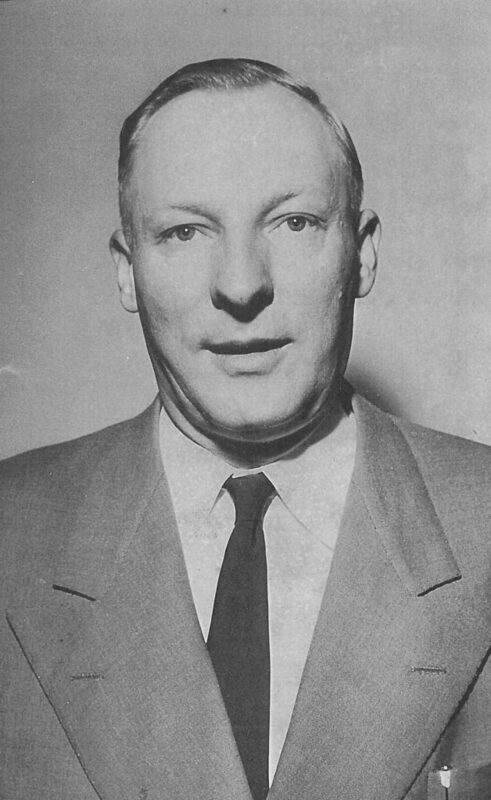 In November 1952, he was appointed Hennepin County Coroner when Coroner Russell R. Heim was convicted on 229 counts of violations of Federal narcotics laws. Johnson had been Deputy/Assistant Coroner since 1950. He practiced at Swedish Hospital (later Metropolitan Medical Center) and at Methodist Hospital since it opened in 1958. In 1970 moved to the Wooddale Professional Building where he stayed, presumably until that building was demolished in 1988. The photo above is of Dr. Johnson as published in the Minneapolis Tribune in November 1962 (courtesy Minnesota Historical Society). Dr. Johnson estimated that he had delivered 7,000 babies in his time. When he retired in May 1990 he donated his medical office furniture and equipment to the Hennepin History Museum. He died on February 9, 1991 at the age of 81.